The Wilberfoss family moved from the village of Wilberfoss, near York, to Beverley in the mid-sixteenth century. 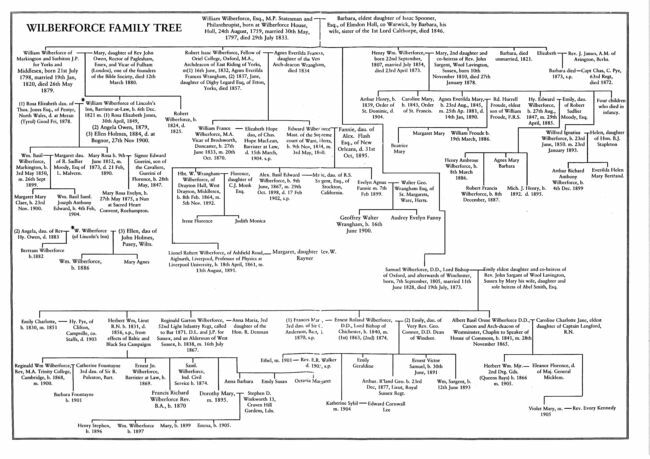 William’s grandfather, also called William, moved from Beverley to Hull in the late seventeenth century and changed the spelling of the family name to Wilberforce. The Wilberforce family were merchants by trade. William's grandfather had been an apprentice to John Thornton, a merchant, and bought Thornton’s house, 25 High Street, after his death. The Wilberforce family were involved in importing goods and timber form Latvia and Russia, and iron ore from Sweden. They also exported a whole variety of Yorkshire produce, including Sheffield steel cutlery. In April 1797 aged 37, William Wilberforce met Barbara Spooner, a young woman who shared his deeply held Christian beliefs. Eight days after meeting Barbara, William proposed and they were married a month later. The couple were devoted to each other and had six children. Wilberforce often spent hours playing with his children, taking them out or reading to them. Wilberforce’s eldest son, another William, was born in 1798. 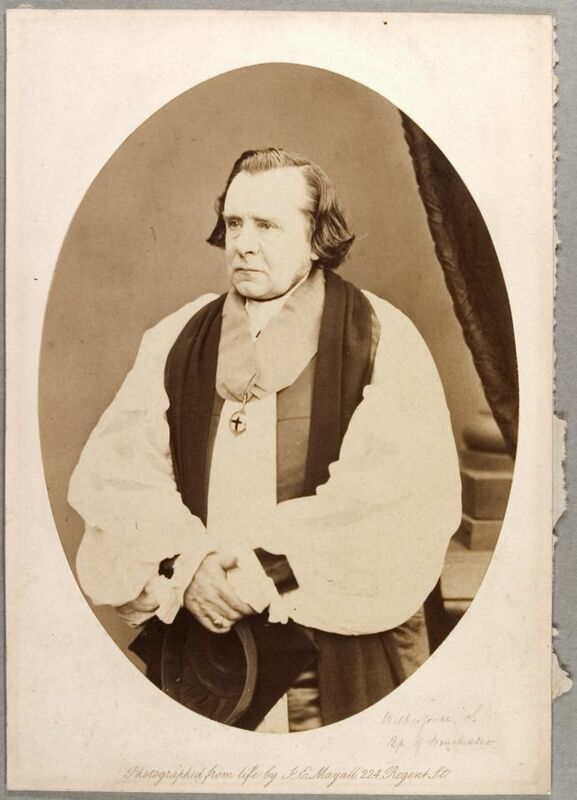 His second son, Robert Issac, was born in 1802 and went on to become Archdeacon of the East Riding. Samuel, born in 1807, was also a very religious man and a great public speaker. He became Bishop of Oxford and was a member of the House of Lords. Wilberforce's youngest son, Henry William, also born in 1807, followed a career in the Church. Wilberforce often found himself split between his personal beliefs and loyalty to his friends and family, especially when in 1827, his youngest daughter, Elizabeth, fell in love with Charles Pinney. The Pinney family were Bristol merchants whose wealth came from slavery. Wilberforce agonised over whether or not to allow his daughter to marry into a family associated with slavery. Following many letters between the Pinney family and Wilberforce, Wilberforce decided to separate the couple. Elizabeth later married Reverend J. James. 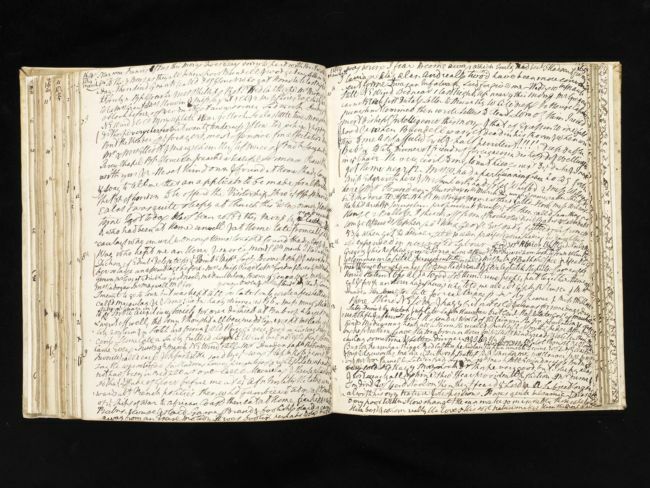 Throughout his life, Wilberforce wrote many letters and also kept a diary, discussing his thoughts and feelings about his personal and political life.